Are you looking to add a new rice cooker to your kitchen? It’s probably no surprise that the best ones are made in Japan. With so many rice cookers to choose from, picking the right one can feel daunting. 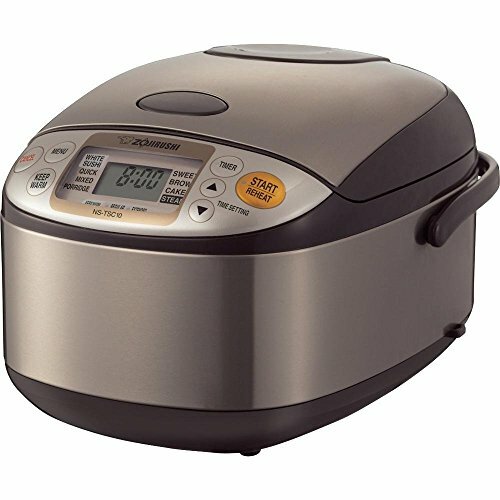 In this article, I will show you how to choose the best Japanese rice cooker for your needs. For one person, a small rice cooker takes up little space and is easy to store. I prefer the medium size for my family of four because any leftover rice gets eaten in the next day or so – or we freeze it. You can narrow down your choices with a budget, since Japan-made rice cookers range from $60 to $800+. 2. How Much of a Rice Lover Are You? How important is the taste/quality of your rice? Conventional rice cookers do a fine job, but if you are looking for the most delicious rice possible, you might want to look at the newer models that use high-tech cooking methods. 3. Do Need A Rice Cooker With Lots of Features and Options? 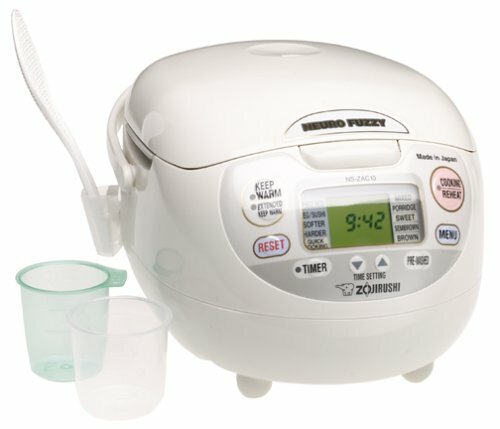 If you want lots of useful features like a “delay timer” that allows you to cook rice at specific times, or the ability to cook different types of rice, you want to look at getting a Micom (“microcomputer”) rice cooker. These are the original rice cookers, the first one having been invented in 1955 by Toshiba. They are very simple, inexpensive devices that cook rice, then switch off or switch to “Keep warm” mode automatically. There’s no other functions or options. It just one button you push when you want to start cooking your rice. If you don’t eat rice very often and aren’t too concerned with having amazingly delicious rice, then a conventional rice cooker might be just right for you. 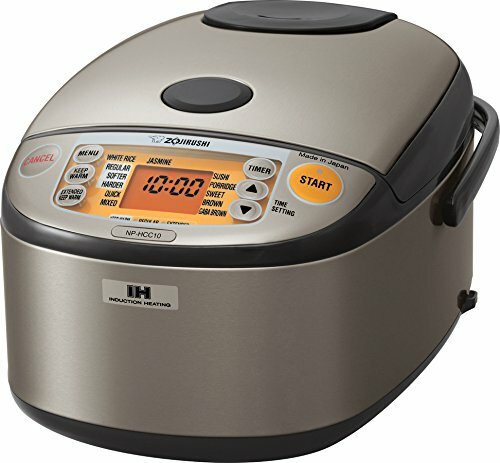 The Micom rice cooker, which contains a microcomputer chip, can “think” for you using “fuzzy logic technology” – it can make adjustments to temperature settings and cooking times based on what the thermostat senses. This means it can also adjust to cooking different types of rice and even other grains or types of food. Micom rice cookers have a heating element at the bottom which heats up the cooking bowl, but with relatively low heat compared to induction heating rice cookers. These rice cookers do a very good job of making delicious rice. 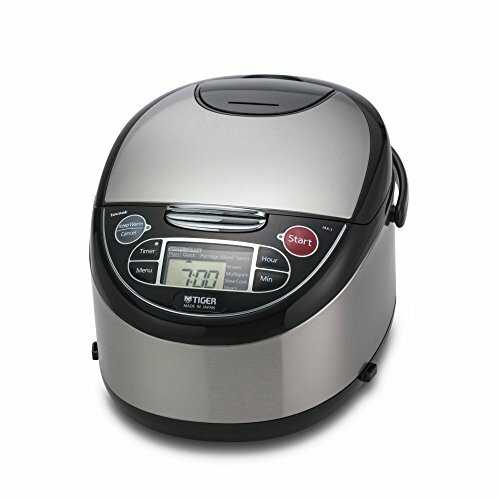 For most people, the microm rice cookers offer the best balance between price, ease of use, and taste. Micom rice cookers are a huge step up from conventional rice cookers, but compared to the IH and pressurized IH rice cookers, they are still an affordable price, ranging from $60 -$200. If you want lots of high-tech features and the certainty of making great rice every time, then a Micom rice cooker might be the one you need. Are you serious about your rice? Then an “induction heating” rice cooker might be right for you. 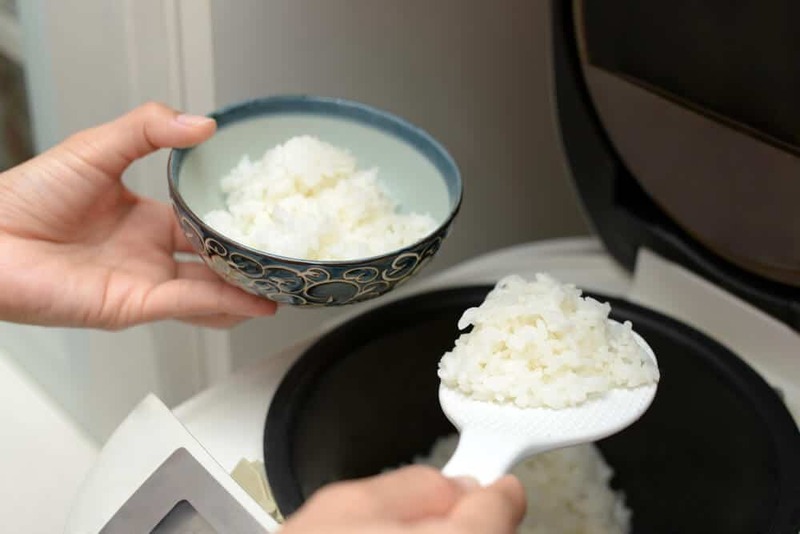 While less expensive rice cookers use a direct heating method to cook rice, IH rice cookers use electrical currents to create a magnetic field inside the cooker, turning the entire bowl into a heat source. What does this mean for the rice? Because the entire bowl gets hot quickly, the rice is cooked evenly, and the end result is fluffy and delectable. It’s often said that once you go IH, you won’t ever want rice cooked any other way. While IH rice cookers do make your rice taste better than cheaper micom products, the cost might not be worth it if you don’t eat rice very often. However, if you eat rice several times a week, the few extra money you spend on an IH cooker will be well worth it. They typically range from $200 – $400. The newest and fanciest rice cookers on the block are “Pressurized IH” rice cookers. These rice cookers combine induction heating with powerful pressure cooking, which generates extremely high temperatures in the cooking bowl. The high temperature is said to alter the physical properties of the rice, making it softer and more easily digestible. In other words, it makes the best rice you could ever eat in the comforts of your own home. You won’t get better tasting rice than this. 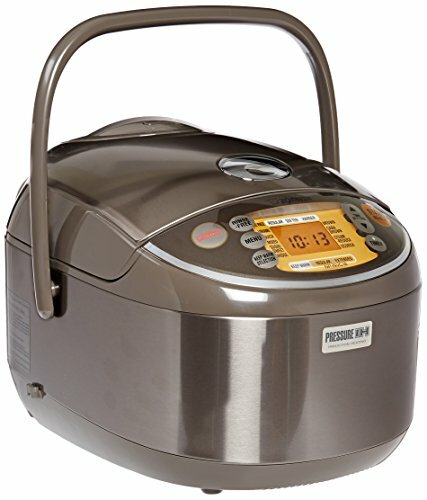 IH pressure rice cookers make lower quality rice taste just like it came from a top restaurant in Japan. It gives the rice a wonderfully different texture than other rice cookers. The cooked rice is both fluffy and chewy at the same time, with every grain perfectly cooked. If you’re a rice lover, IH is the only way to go. 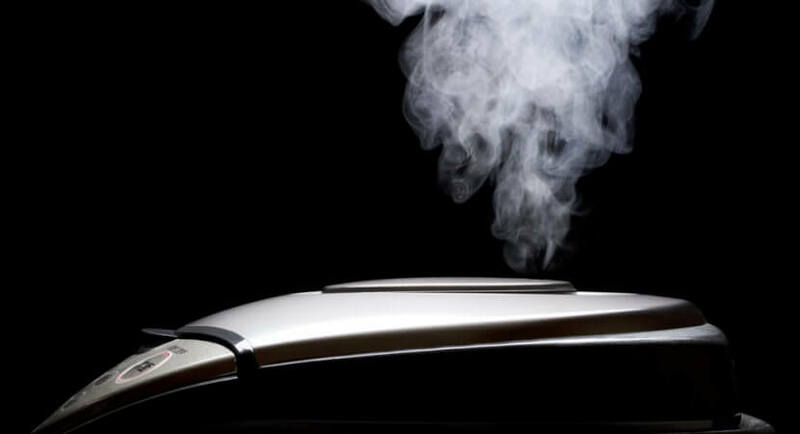 Pressurized IH rice cookers are the most expensive on the market, but if you want the best of the best, you might consider shelling out $300 or more for these top-of-the-line appliances. Some of them have price tags of $800 or more. The material used for the bowl in a rice cooker plays a huge role in producing quality rice. Most Japanese rice cookers have a stainless steel bowl with a non-stick coating (for easier cleaning), which is what you might want to look for. Also look for a very insulated (thick) bowl, which helps retain and regulate heat. The “keep warm” and “delay start” settings are very useful, keeping rice warm and allowing you to control when the cooking starts. Finding a rice cooker with the right features is important, especially if you are planning on cooking different types of rice. 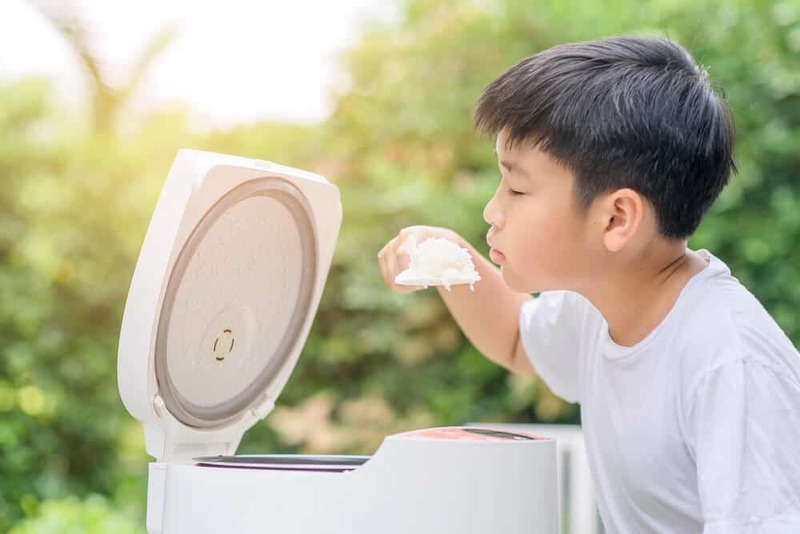 You’ll be cleaning the cooking bowl and inner lid of your rice cooker every time you use it, so finding one that’s easy to clean is important. Most Japanese rice cookers have a non-stick coating on the bowls, and detachable inner lids for easier cleaning. 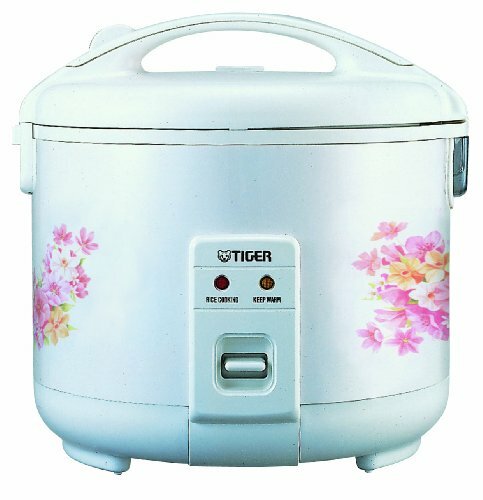 Tiger’s claim to fame is their specially designed inner bowls – this model’s cooking bowl is made of thick stainless steel, and won’t transfer any unwanted flavors or change the texture of the rice, so your rice will taste better. Micom technology will monitor the cooking so you don’t have to do any work, just minimal prep. The LCD display screen and simple design makes it easy to operate, so there’s no need to spend hours learning how to use it. It’s a multi-function rice cooker that also steams, slow cooks, and can simultaneously cook two dishes, along with different types of rice, which means you don’t have to have a bunch of appliances taking up counter space. The removable inner lid and “steam cap”, along with the cooking bowl, are all easy to clean after use, which is great if you cook rice frequently. It doesn’t use fuzzy logic technology, which helps rice cookers “think,” so the rice you’ll get from this model probably won’t compare to ones produced by the more top of the line rice cookers. 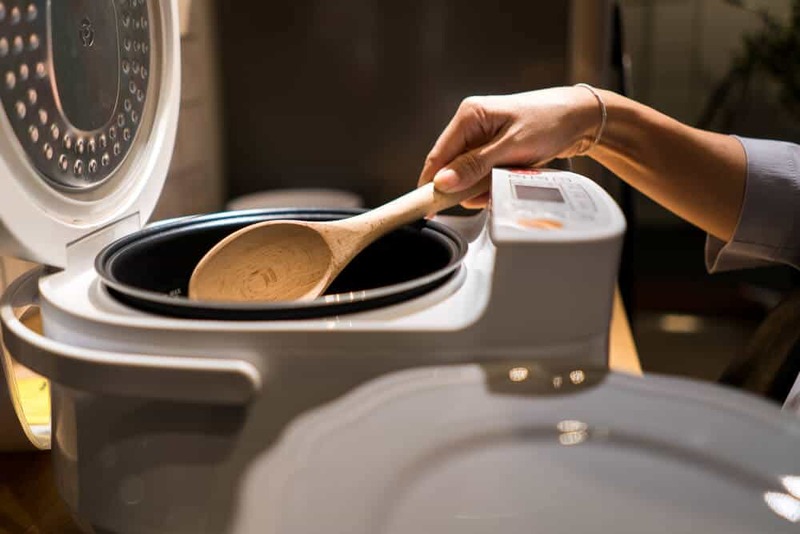 With advanced“neuro fuzzy” (Zojirushi’s special trademark) technology, this rice cooker can make fine tuned adjustments to temperature and cooking lengths, which means it’s super easy to make amazing rice. It’s such a cute little machine that you might want to leave it out on your kitchen counter just to look at! It’s got a retractable cord and a handle, so it’s portable, too. 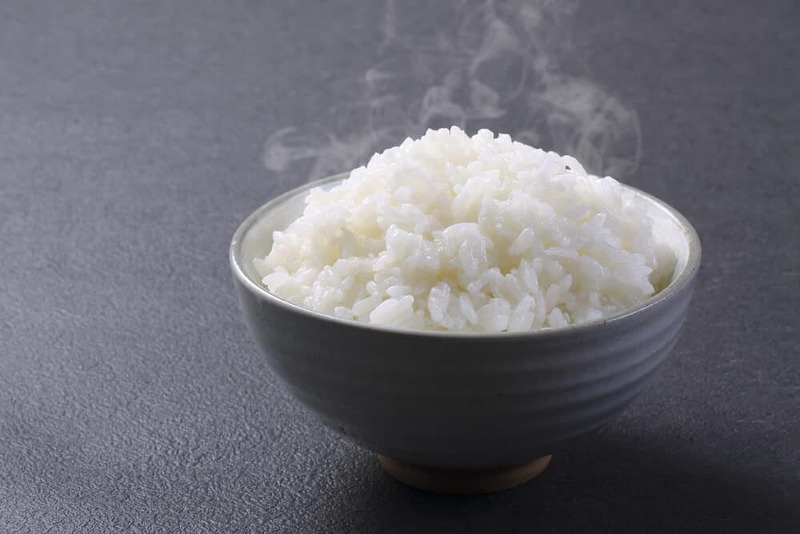 There’s an extended “keep warm” function that keeps rice warm for up to 12 hours, which means there’s always steaming hot rice from morning to night. 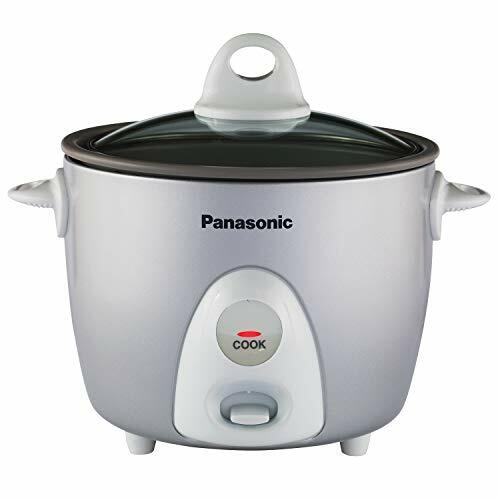 It’s got all the bells and whistles of a Micom rice cooker with the cooking power of induction heating, which means it’s easy to make excellent quality rice every time. There is just no contest between the regular direct-heat cooking method and induction heating method – rice made by an IH cooker is far superior. It can cook all kinds of different grains, but is especially great for cooking germinated brown rice (or “sprouted brown rice”). It increases the amount of GABA in it, a valuable amino acid that lowers blood pressure, relieves stress, and improves kidney function. Automatic warmer setting keeps rice at perfect serving temperature. With a price tag of around $250, this rice cooker might not be necessary for people who can’t cook often. This is the most “intelligent” rice cooker on the planet – it uses fuzzy logic technology and AI (Artifical intelligence) to “learn” how to make perfect rice every time. It’s basically a rice cooking robot that sits on your kitchen counter. This rice cooker makes rice taste better with a platinum particle-infused cooking bowl. Platinum alkalizes water, making it easier to penetrate the rice, which results in a sweeter tasting product. The rice cooker will choose from 3 pressure settings, cooking rice that stays soft for much longer than regular cooked rice. You get what you pay for here. The rice it makes is awesome, but comes with a pretty hefty price tag. There’s a reason it’s been around for this long – this old-school conventional rice cooker is simple and easy to use, but makes reliably tasty rice, and keeps it warm. Not much else, but that’s just what some people need. One of the most affordable rice cookers out there, but because it’s made in Japan, it doesn’t compromise on quality. It pales in comparison in terms of technology and cooking methods to the newer models, and is really only good for making white rice. 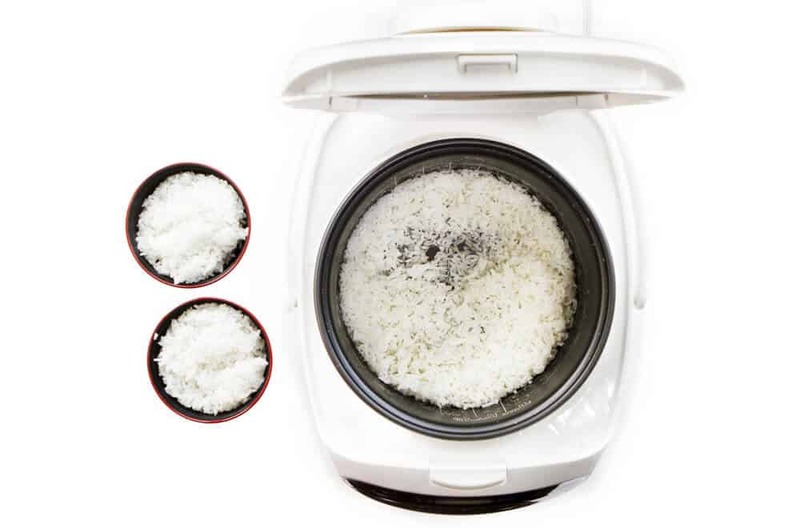 While the “best” rice cooker is subjective depending on your needs, the Zojirushi Neuro Fuzzy rice cooker offers everything you need at a good price. It makes a delicious pot rice and is very easy to use. It’s an affordable price for what it is – basically a small white computer that takes all the thinking out of cooking so anyone can make amazing rice, every single time. With a pleasing design and tons of useful features, it’s perfect for people who cook rice often and want the freedom to make all kinds of different rice, grains, and other meals. It’s easy to clean and has a delay timer so you control when it starts cooking – along with pretty much all the most important features a rice cooker should have. If you are searching for a smartly engineered and high-quality Japanese rice cooker, you won’t go wrong choosing this one.